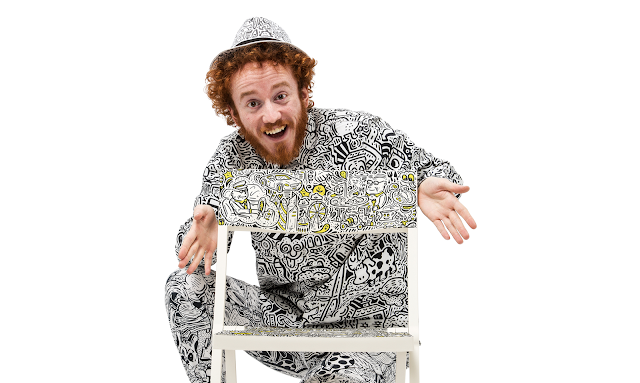 Integrated creative agency McCann London has teamed up with renowned artist and illustrator, Mr. Doodle to bring back its ‘Spare Chair Sunday’ campaign for leading Premier Foods brand, Bisto. The Bisto campaign aims to address the problem of loneliness especially amongst the elderly and will consist of a PR campaign, with supporting TV and radio ads, running for six weeks 15th November, up until the end of December. The work involves a partnership with Global Radio as well as charity ‘Contact the Elderly’, which organises volunteer-led monthly Sunday gatherings for older people across England, Scotland and Wales who live alone. 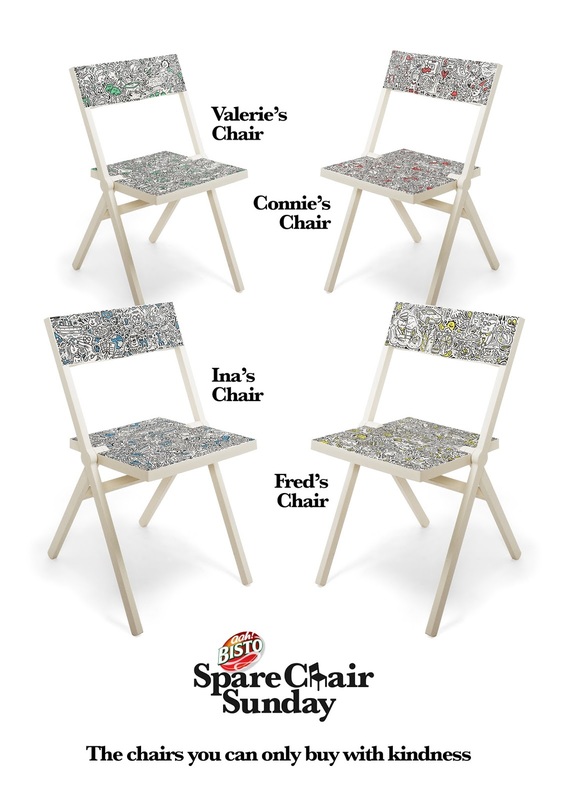 McCann London’s brief was to bring back ‘Spare Chair Sunday’ with renewed relevance in 2017. In order to get people to sign up to an already-successful initiative, McCann London teamed up with well-known illustrator and artist, Mr Doodle, to create a set of four beautiful, bespoke chairs featuring designs that reflect the lives of four elderly people. But these chairs are anything but ordinary; they can only be bought with kindness, by signing up to ‘Spare Chair Sunday’ for the chance to get one when you host your ‘Spare Chair Sunday’ lunch. This year Bisto also has the backing of Helen George, best known for her role as Trixie Franklin on the BBC TV drama series Call the Midwife, to help encourage even more volunteers to invite an older person into their home. Last year McCann London and Bisto ran a campaign entitled ‘Open door Sunday’, designed to bring neighbours together by encouraging them to invite each other round for a roast. Bisto’s ‘Spare Chair Sunday’ activity was launched in 2015 after the brand discovered 1 in 7 people find Sunday to be the loneliest day of the week. McCann was the lead brand and creative agency while Weber Shandwick led the PR activation. The media agency was Carat. As one of Britain's largest food producers, Premier Foods is committed to delivering the taste the British love, with food that's made in Britain by people who understand British consumers. We supply a range of retail, wholesale, foodservice and other customers with some of Britain's best loved brands, including Ambrosia, Batchelors, Bisto, Loyd Grossman, Mr. Kipling, Oxo and Sharwood’s. The company employs around 4,000 people operating from 13 sites from across the country. For the last three years, Bisto has been bringing people together whatever the barriers, through the Bisto Together Project. As part of this, the brand launched Spare Chair Sunday in 2015, in partnership with national charity, Contact the Elderly, to tackle loneliness amongst elderly people and just last year in 2016, launched Bisto Open Door Sunday. But this year, Bisto are bringing back Spare Chair Sunday 2017 with a renewed relevance.